I finally did it! 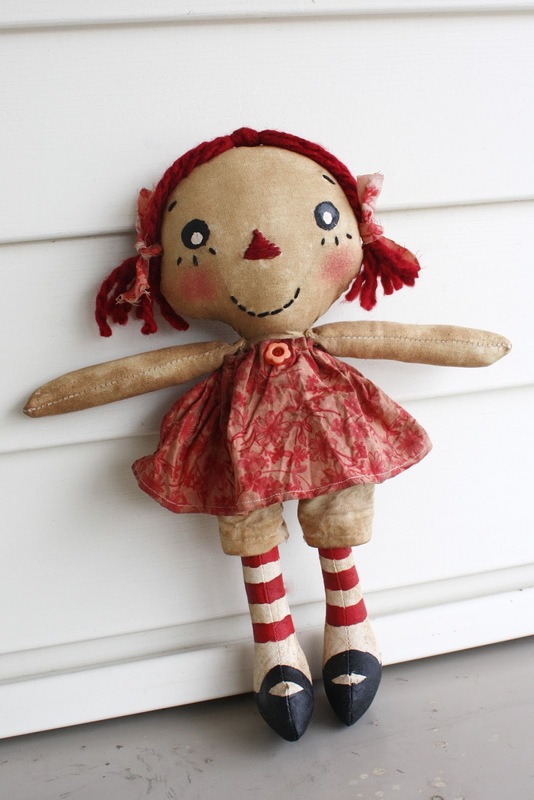 I completed my first handmade Raggedy Annie doll! 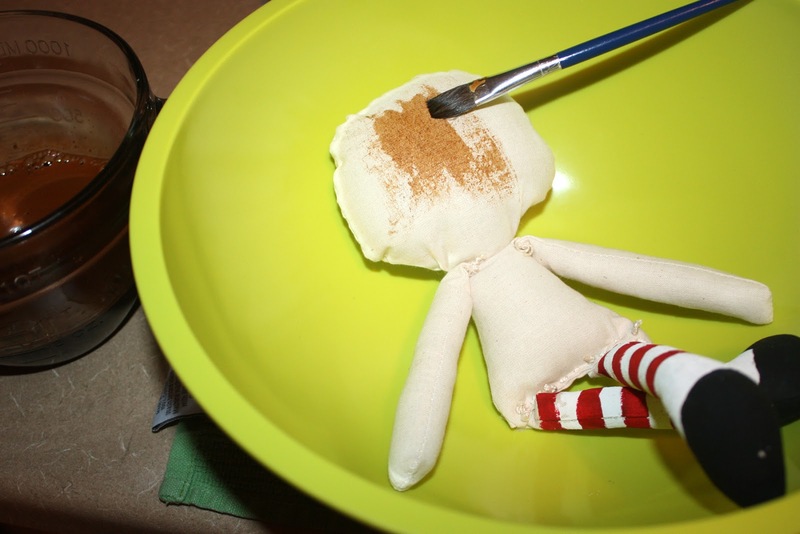 I’ve been extremely obsessed with these dolls since last summer and really wanted to try my hand at making one by myself. I made it one of my new year’s resolutions for 2013 and really wanted to be able to say I did it by the time this year came to a close. I’m thrilled that I was able to complete it now! My in-law’s gave me a sewing machine for Christmas. I wanted one with this specific purpose in mind. I was terrified of learning to use it, though. Week after week went by and I was too scared to even take it out of the box. Scared that I would fail before I barely began. 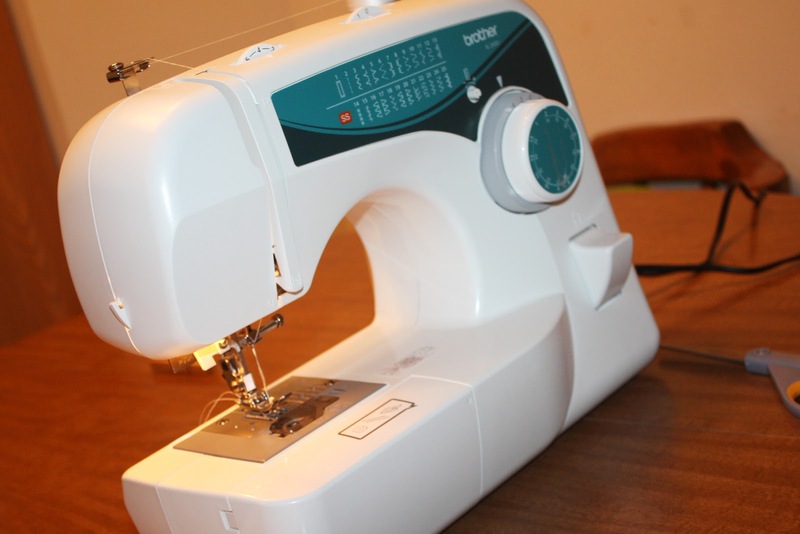 I’ve used a sewing machine in the past, but it’s been at least ten years and I’ve never had to set up the thread or deal with the problems on my own. My sister-in-law, who has the same machine, was going to help me set things up on Easter, but then I got sick and wasn’t able to see her before she flew back home to California. So I was once again on my own and too scared to begin. On Saturday I was super bored, it was raining and cold outside, and Greg decided IT WAS TIME. I wasn’t overly thrilled with the prospect, but he forced me to do it (for which I am glad). He got the machine out, read the manual, and then told me everything he learned. Together we spent about an hour figuring out how to begin and then I was off! I did a few practice stitches and then decided maybe I’d make a pillow or something easy to begin with. But…all my Annie supplies, which I purchased months ago, were just sitting there and I couldn’t stop myself. 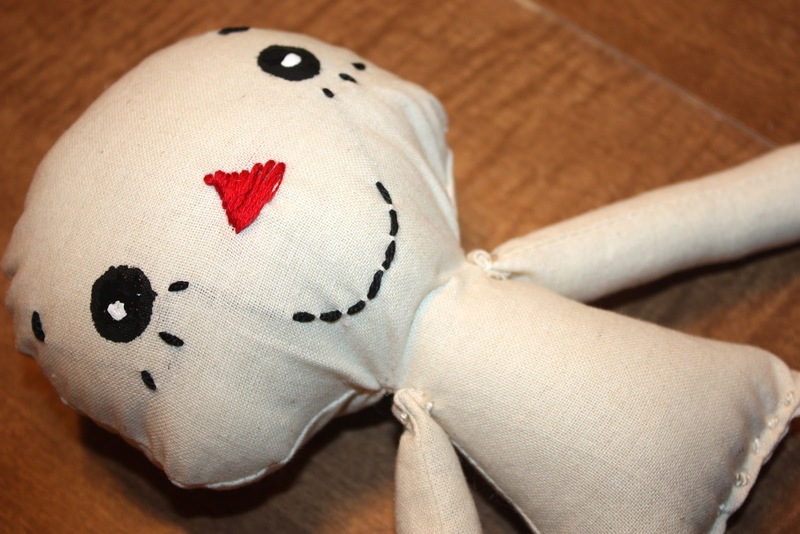 I started on my first doll! I was actually pretty surprised at how easy the first part was. 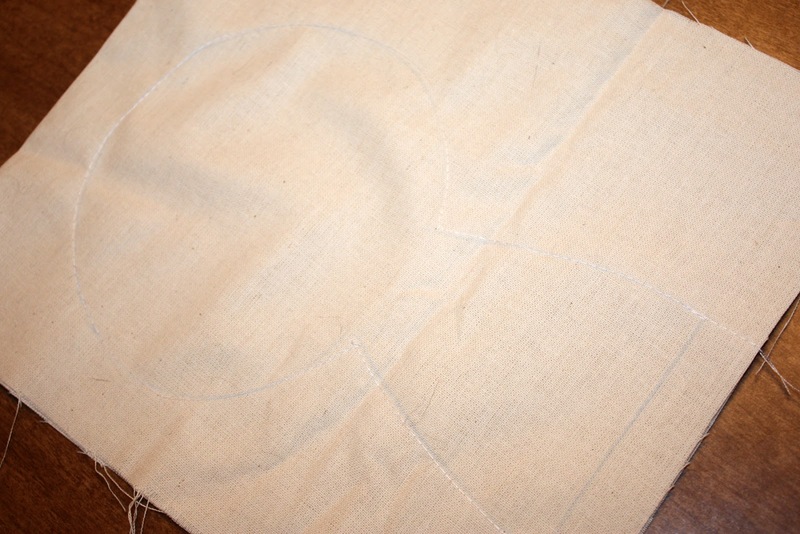 I mean, I HAVE used a sewing machine before and this wasn’t terribly complicated. I had all my body parts ready in a matter of minutes! Stuffing my Annie seemed to be the most time consuming. 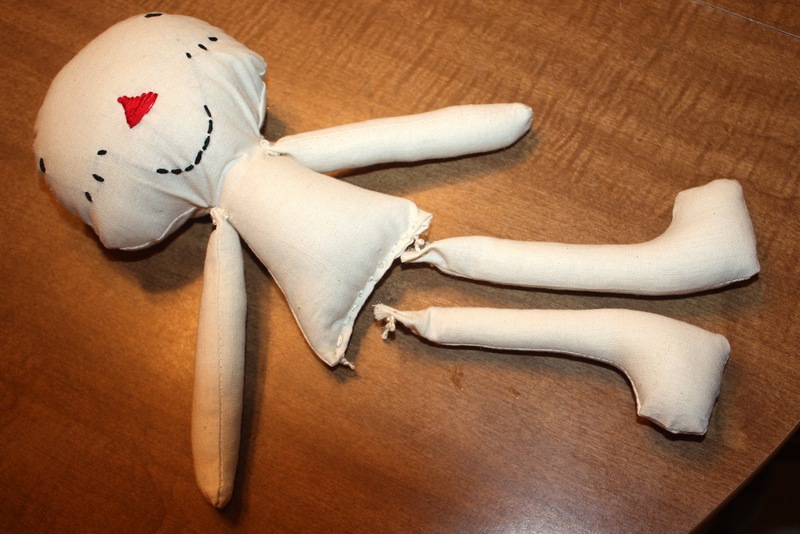 I was so glad I purchased a hemostats, which my favorite doll maker Raggedy Old Annie recommended in the instructions that came with her pattern (this is her pattern, by the way). I was confused about how to stitch on the face, so I did it before I stuffed, which resulted in being able to see the thread underneath the material a little bit. I figured out later how to do this correctly. By this time it was pretty late at night and as much as I wanted to keep going I had to call it a night. Early Sunday morning I was ready to continue! The next step was painting the legs and shoes. After I started I realized I forgot to hang up some sort of line for them to dry. So Caden was my temporary drying rack. Then I had to get creative since it was time to go to church and the shoes were still wet. Her face is complete! I painted on the eyes since I couldn’t figure out the button thing. Most of the Annie’s I own have button eyes, but I thought the painted eyes turned out pretty cute! The biggest problem I had with this entire process was trying to sew lace on to the edge of the dress. For whatever reason I could not get the sewing machine to sew them together. 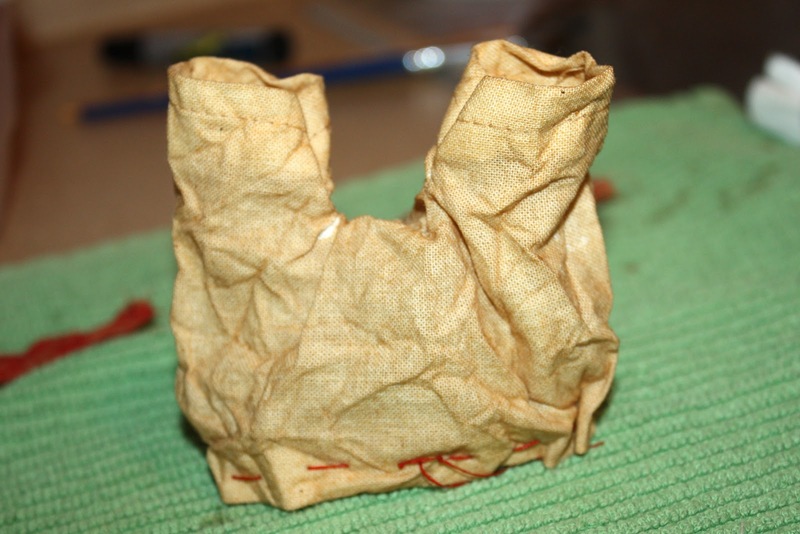 Maybe somebody who knows a lot more about sewing various materials could help me with this problem. I eventually just gave up. It still looks cute. I also had a really hard time figuring out how to make the bloomers. I’ve never sewn any type of clothes before and my mind couldn’t get around how to do it. The dress was easier because it’s really just a skirt. I need to figure out how to make a true dress next. Time for the coffee staining! 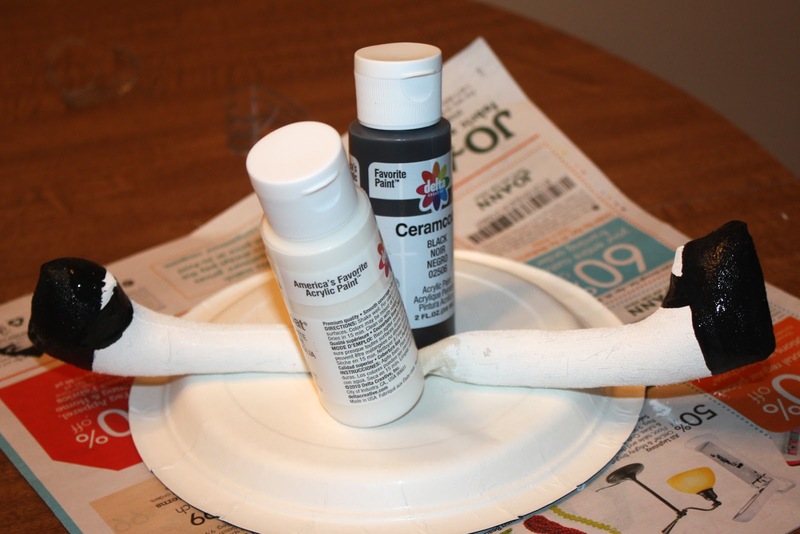 I was shocked at how dark it looked when I started painting it on, but I went with it. I love the coffee stained look. 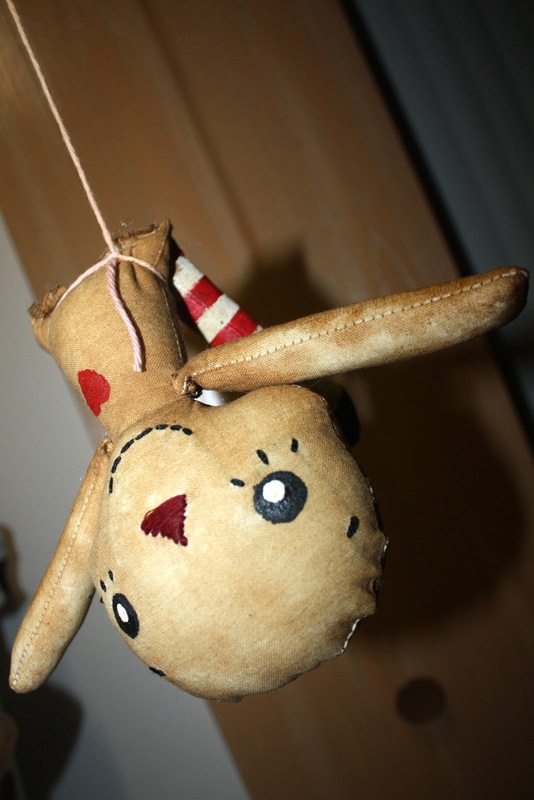 The dolls just look more treasured to me this way. While I was staining (very late at night!) I realized I still hadn’t hung up a type of drying rack. So I yelled for Greg to rig something up for me. I meant a clothes line. Instead he hung strings straight down from the ceiling. I couldn’t stop laughing over it. 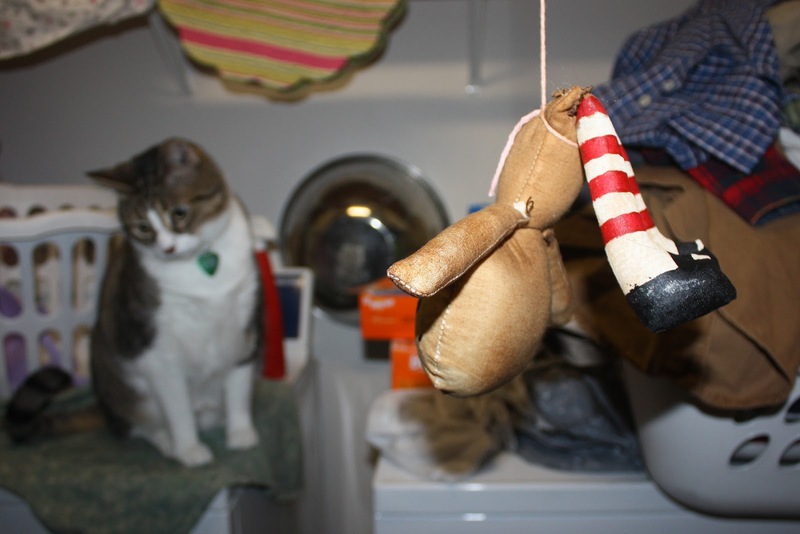 Jack thought we hung up a toy for him. 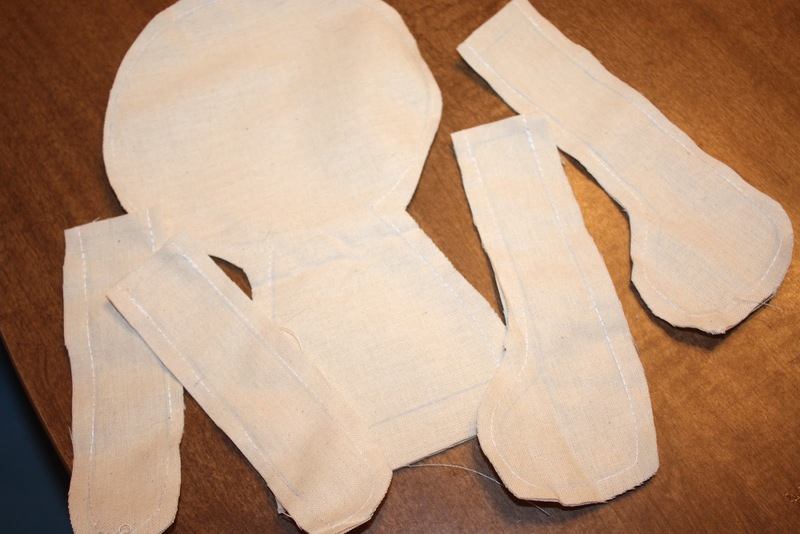 I pretty much spent all of Sunday night thinking about how to make the bloomers. I realized it really wasn’t that hard. So the minute I woke up on Monday I was back at it! The only problem I had was making the leg holes too small. I really had to force the feet through them. And finally, after tying on the clothes and sewing on the hair I had a completed Annie!! It only took me a couple of hours over the course of two days and that thing I wanted so badly, but thought nearly impossible, was suddenly right in front of me! I learned so much doing this and I’m so incredibly proud of myself. And now that I’ve learned how to do this, I don’t want to stop! 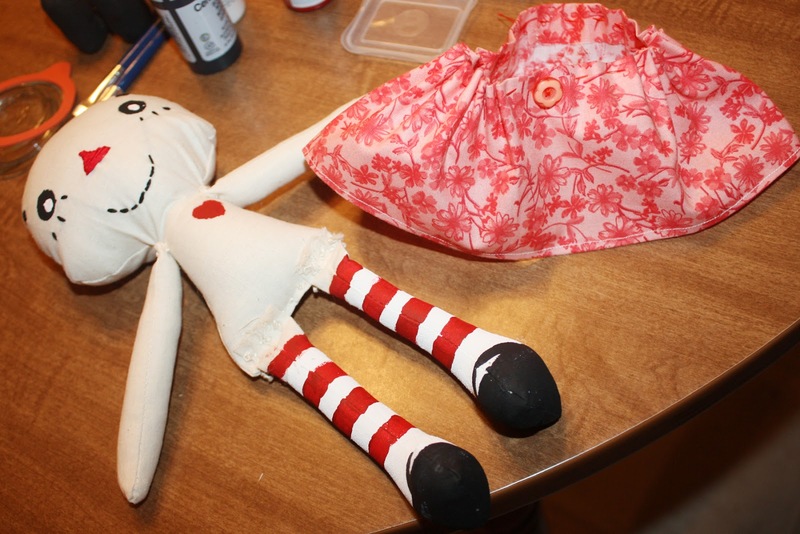 I may or may not have made two more dolls in the last two days, but can’t show any pictures because they’re for a certain holiday coming up next month. 😉 I’ve pretty much been sewing nonstop the last four days, ignoring all my other duties and responsibilities. I’m trying to spend today catching up on laundry and cleaning, but all I can think about is what kind of doll I want to make next! This is so much fun!